For over a decade, we lived in a townhouse that didn't have a yard. So it made sense that as soon as we moved into our new house back in January, we began daydreaming of all of the wonderful ways we would take advantage of our backyard once the weather got warm. When it finally did, we immediately got to work, adding a patio, building a wood slat screen, planting, mowing the lawn, and preparing for the magic of summertime. 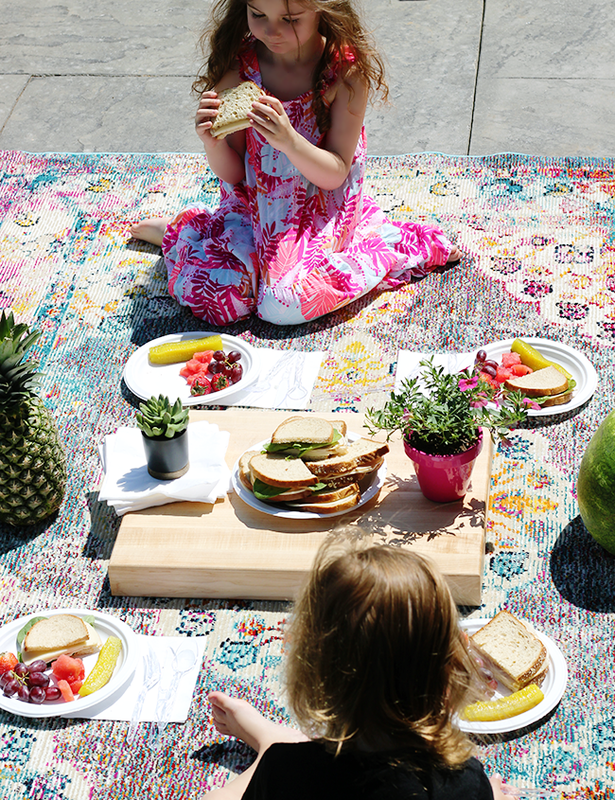 I asked my daughter what she was most excited to do in our yard and on the patio, and without a second though she replied, "have a pretty picnic." I thought that sounded like a fantastic idea myself, so a pretty picnic we had. Since then, we've have several more. And they've been really, really great. 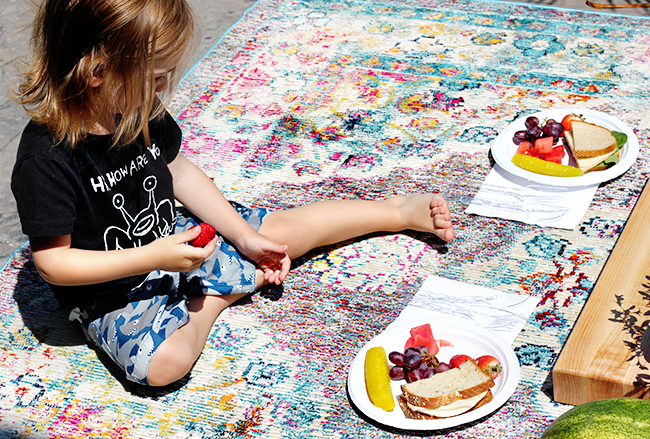 Backyard picnics take the act of eating outside up a notch; if you have kids, they feel like fun adventures for them. They're also much easier than having to haul a bunch of picnic gear to a park or picnic spot. And if you have the right supplies on hand (i.e. 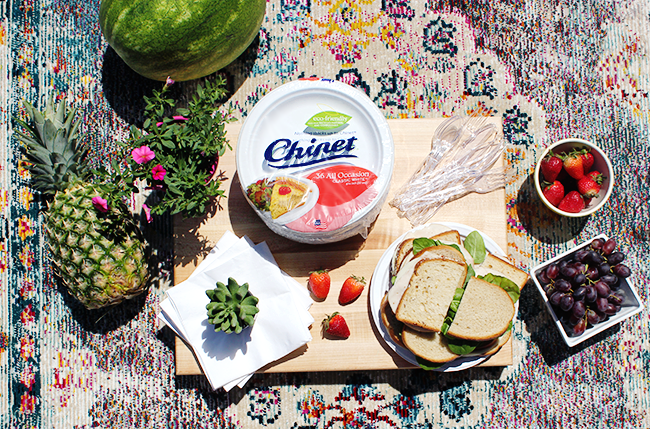 picnic food, simple decor, Chinet® Classic White™plates, etc. ), they can be fairly spontaneous. 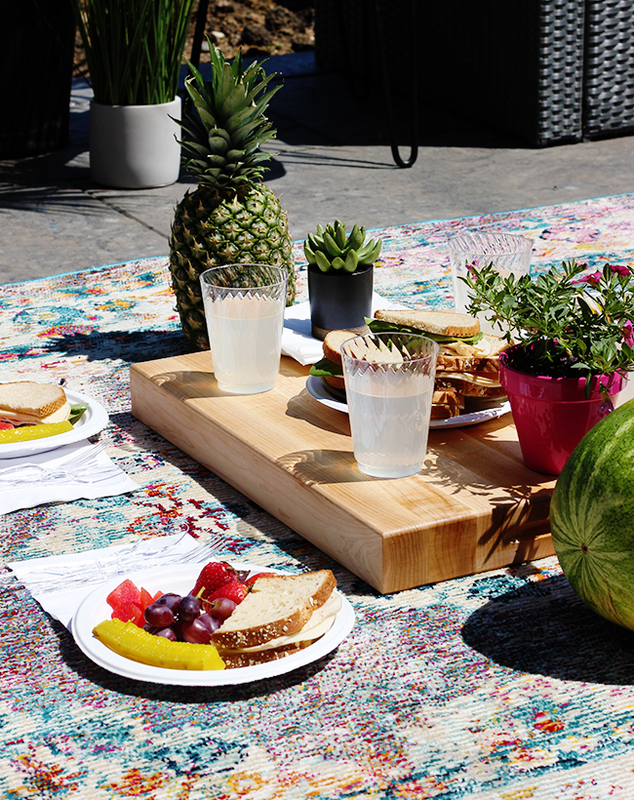 It's also quite easy to make a backyard picnic look lovely by incorporating pieces of your home that you wouldn't normally take with you when having a picnic somewhere else. 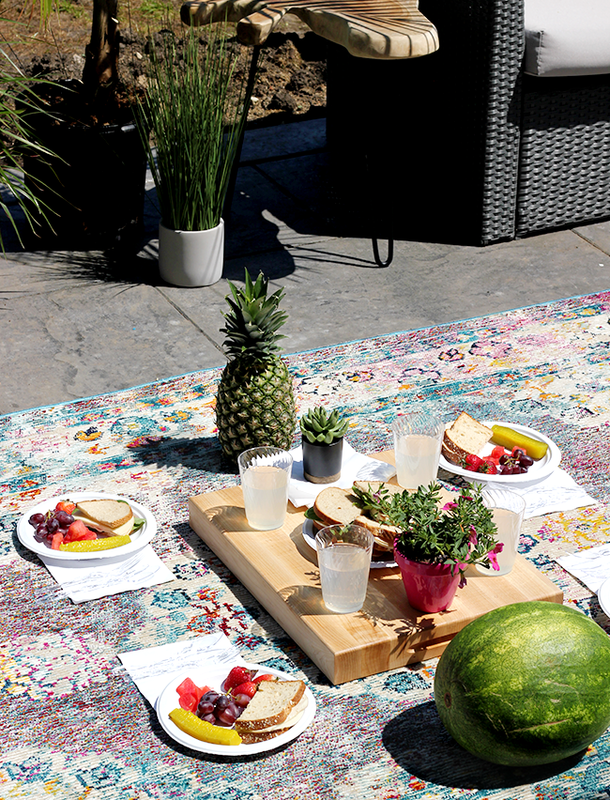 We've been enjoying our patio picnics so much that I thought I'd share some of my tips with you today on how to keep them simple (but also make them pretty), and hopefully inspire you to have one of your own! 1. Serve summertime foods you have on hand. 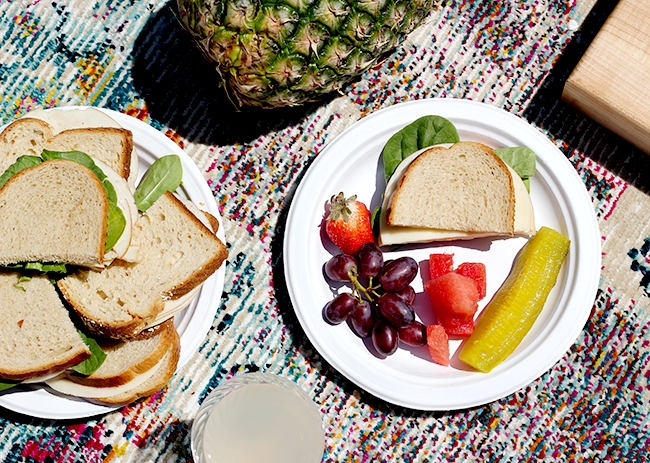 I like to make a variety of simple sandwiches and pair them with whatever fruits we already have, especially summertime fruits like strawberries and watermelon. Sometimes we'll use leftovers from dinner the night before and add some fresh fruit and dill pickle spears to keep things feeling summery. There are no rules for what foods to serve, but to keep things simple and easy, I like to use things we already have in the fridge. 2. Use decor you have on hand. Sometimes we'll grab a big blanket and set our picnic up in the grass with no decor at all, but my daughter (much like her mama) really enjoys incorporating pretty elements into things, so we tend to use the patio where there's more solid/even ground. We usually set things up on a rug on our patio, use a big wood cutting board as a mini centerpiece table, and decorate with flowers and a plant or two. Grabbing decor items you already have is a quick way to create ambience for your picnic without spending time or money. 4. Use a basket as a carry-all. 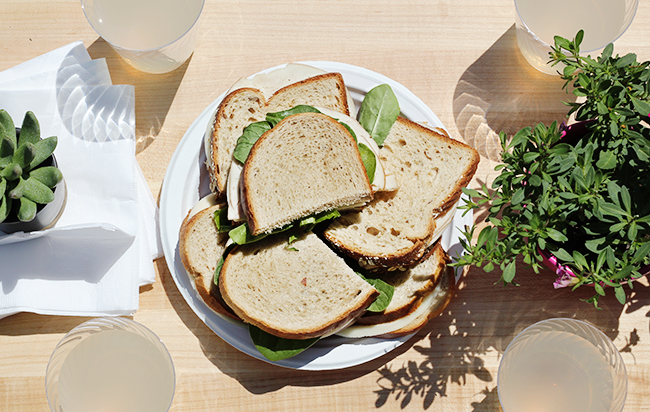 No fancy picnic basket necessary! I just use a big basket we have in our living room to carry everything outside at once, rather than taking extra time to carry things out one at a time. It makes putting everything away afterward quicker and easier as well. If you're looking for an easy, fun, quintessentially summertime activity, I highly recommend the backyard picnic. And if you have one, I hope these tips prove useful. 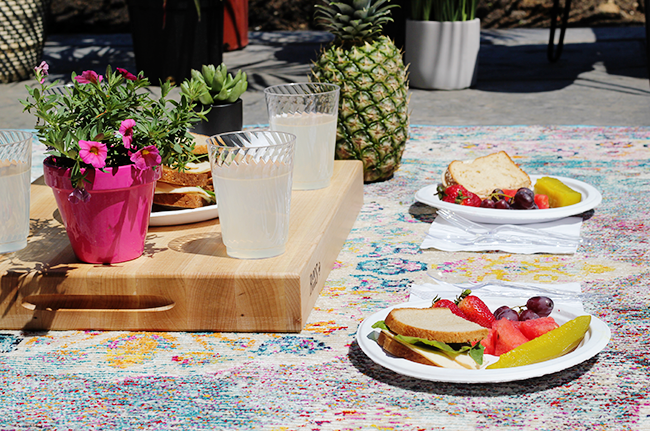 I'm sure you'll be seeing lots more patio picnics from us throughout the summer! Thank you for supporting the brands that help make Bubby and Bean possible. I was selected for this opportunity as a member of CLEVER and the content and opinions expressed here are all my own. 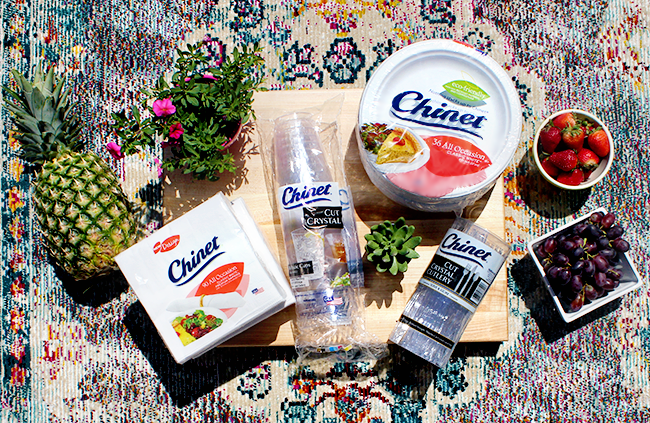 Chinet® and Classic White™ are registered trademarks of Huhtamaki, Inc. in the U.S. and other countries. This 100% the prettiest picnic I've ever seen. I love that the plates are compostable! So cool.